Presenting the superb new season womens ankle boot from Irregular Choice! 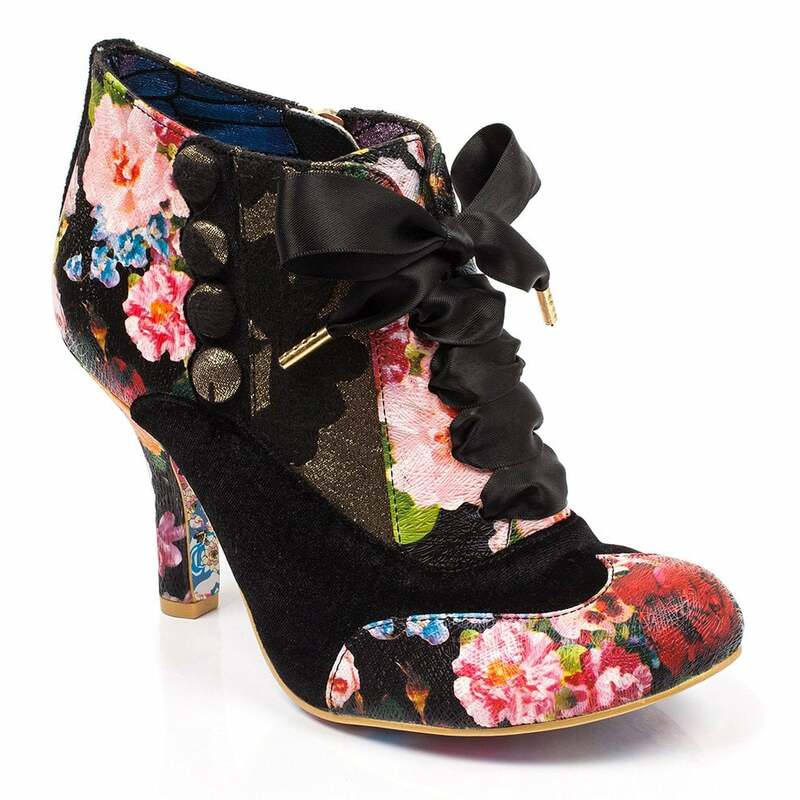 With tribute to Victoriana fashion brought right up to the 21st century, the Irregular Choice Blair Elfglow have stylish uppers covered in an eye catching floral material. Fastening the stunning Irregular Choice's Blair Elfglow is a stylish black ribbon threading its way through five pairs of blind eyelets with with contrasting gold aglets, complete with a gold size zip for your convenience. Inside, the Blair Elfglow womens ankle boot is lined in a sparkling metallic blue and black fabric with the Irregular Choice and Iconic branding embroidered on a comfortable insole. The perfect womens ankle boot to give you the feel good factor and grab all the right kind of attention whatever the season; the Irregular Choice Blair Elfglow - Don't wait to be asked to the party; make Irregular Choice your choice now and start your own!